Motorola’s popular Android budge segment phone – Moto G5 and Moto G5 Plus. 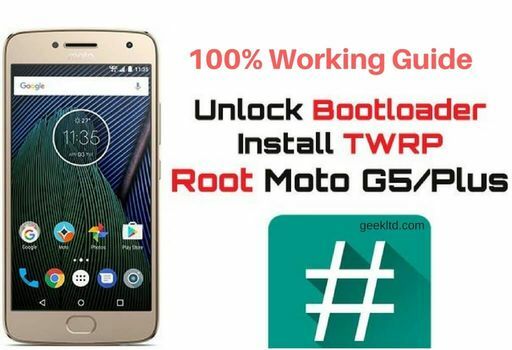 Very popular in Indian market, today we are showing you 100% working method to Root Moto G5 and Moto G5 Plus, Flashing TWRP, Magisk without bricking your device. This guide works on phone working on Android 7.0 Nougat. If you don’t follow the guide properly, there will be chances of damage and complete failure of a mobile device. Follow at your own risk. This guide is only meant for Moto G5 and Moto G5 Plus. Do not try this on other Android phones. Note: ONLY PROCEED if BOOTLOADER is UNLOCKED. You have rooted your phone now. If you are facing any problem, please let us know. We’ll solve all your issues. Isn’t ‘potter’ the codename for the Moto G5 Plus?